As a blogger, there are plenty of things on my Christmas wishlist (the new Macbook Pro with touch bar springs to mind!). That aside, here are a few of the best gifts for bloggers that you get give this Christmas. You can really make a statement with the Grace Deluxe Laptop Sleeve; it has a modern, bright, and functional design which makes it stand out from the crowd. The main compartment features protective foam and has a plush, super soft lining to securely hold a 13” MacBook, iPad Pro, or slim laptop. A magnetized front flap provides a clean look and easy access. 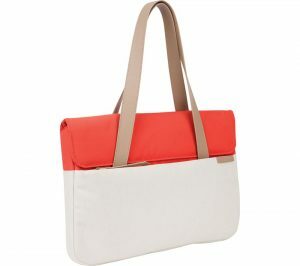 It also has a front zippered pocked which is the ideal size for your smartphone, pens etc. The handle makes it just perfect to sling over your shoulder and head to the nearest coffee shop to work on your blog! This camera is hugely popular with bloggers. One of the reasons is the LCD touchscreen makes it easy to watch recordings on the road. 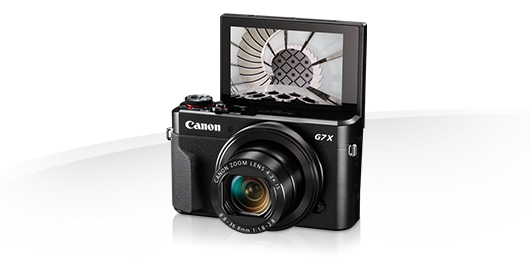 With its huge sensor, compact profile and revamped interface, Canon’s G7 X II is perfect choice for pretty, probing street photography. Features like NFC and Wi-Fi complement DSLR-grade performance, while tactile control rings keep you in control. You can shoot stunning clips in 1080p Full HD and capture epic moments with exhaustive detail. How sleek and stylish are these wireless headphones? 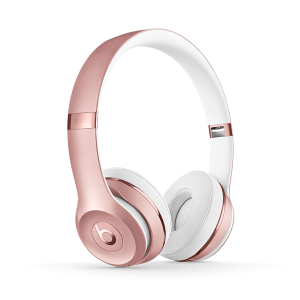 Beats By Dr Dre Solo 2 Wireless Bluetooth Headphones have been given a premium look with this stunning rose gold finish. They’re wireless, so perfect for when you’re on your flashy new Macbook writing your blog in the cafe. Block out all of the other noise and ignore all the other bloggers! The wireless functionality is available all day with a 12-hour rechargeable battery. They not only look good, they also deliver extraordinarily detailed sound defined by scintillatingly clear high frequencies and powerful, moving bass tones. Every listening session becomes a high-definition experience with titanium-coated drivers that preserve the true quality of your music so that you hear and feel every recorded shade and nuance. This Pencils of Positivity set from The Green Gables will keep you focused on the good stuff in your day as you make notes and write lists. They encourage a positive mindset; so much easier when you have reminders in your day. 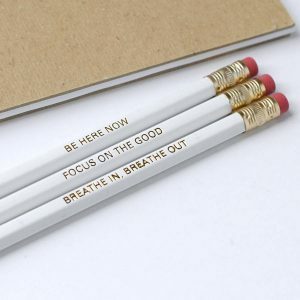 So, every time you use one of these pencils you’ll be inspired to be mindful, think positively and to take a brief time out to take a deep breath (you’d be surprised how much we forget!). The pencils are a lovely gift to give to a stationery lover or someone who wants to practise more mindfulness and increase their everyday joy. Or for yourself of course! Even though i’m a total computer nerd, I still love love love my pencils. Why not add a blog planner to the pencils you MUST buy above?? This planner from Mia Felce is just gorgeous. What a lovely way to get organised! It’s A4 in size, and perfect to keep on your desk. 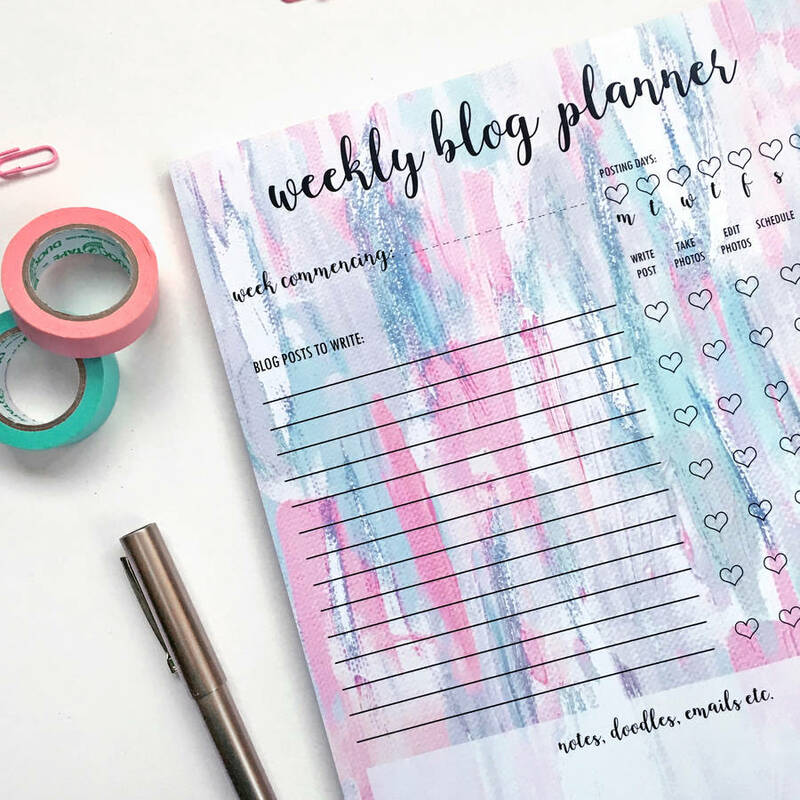 There is plenty of space to plan your blog posts, and keep track of what you are meant to be doing!! There are also handy note and doodles sections. There are 50 tear off sheets printed with the colourful design and a board backer.